The Mora Smoothie fashion blog, DIY fashion by Paola Buonacara: Wave riding... with the Reef shoes! Are you feeling the taste of the Summer in the air too? And just thinking about the Summer I wanna tell u about Reef shoes. 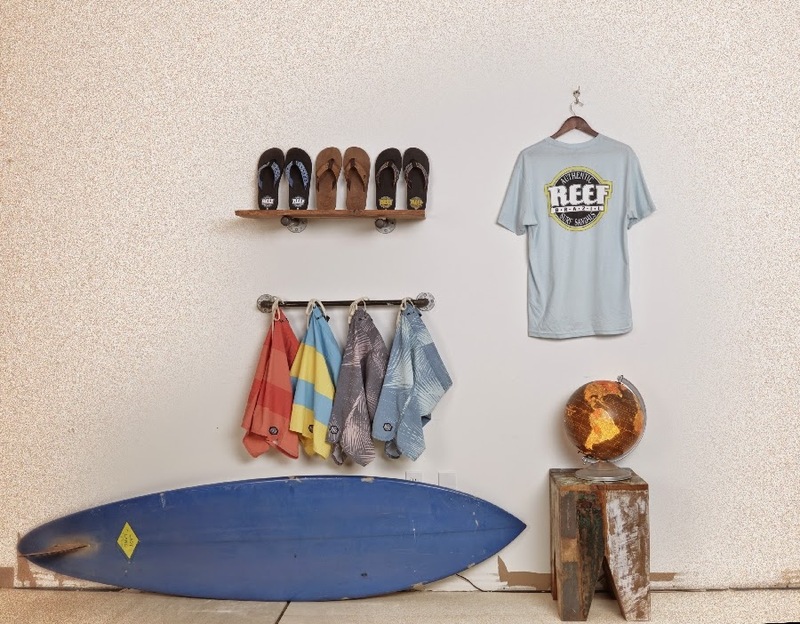 Reef is a global Company leader about surfing stuff, this year celebrates its 30th anniversary and for the occasion it has created a capsule collection for Summer 2014 recalls the style of years gone by, highlighting key products of its thirty years of experience craftsmanship. The quality sandals with arch support and the model Smoothy is the centerpiece of the collection that celebrates the 30th Anniversary and for girls, it is proposed the model Ginger . And then my favourites, the Bella Costas thought and designed for girls who want to be in step with the trends of the moment, but do not want to sacrifice comfort. We Heart is the project in which have worked on artisans from India well-known for their incredible dyeing process Ikat and for dyeing in knots. With a range of colors ranging from the green water, peach, from purple to pink, the shoes in this collection are perfect for your Summer time! Are you in love with these shoes too? Which do u like more? Anche voi come me sentite nell'aria già il sapore dell'estate? E proprio pensando all'estate vi voglio parlare delle scarpe Reef. Reef e un'azienda leader mondiale di prodotti per il surf, quest’anno festeggia i suoi primi 30 anni e per l’occasione ha creato una capsule collection per l’estate 2014 che richiama lo stile degli anni passati, mettendo in evidenza prodotti chiave della sua trentennale esperienza artigianale. I sandali di qualità con supporto plantare il modello Smoothy è il fulcro della collezione che celebra il 30° Anniversario e per le ragazze, viene riproposto il modello Ginger. E poi le mie preferite, le Bella Costas pensate e progettate per le ragazze che desiderano essere al passo con le tendenze del momento, ma non vogliono rinunciare al comfort. La nuova linea è caratterizzata da stoffe lavorate a maglia, espadrillas, scarpe e mocassini in camoscio e stivali primaverili. WE Heart è un progetto in cui hanno lavorato artigiani dell'India noti per il loro incredibile processo di tintura Ikat e per la tintura in nodi. Con una gamma di colori che va dal verde acqua, al pesca, al viola fino al rosa, le scarpe di questa collezione sono ideali per il periodo estivo! Vi siete innamorati anche voi di queste scarpe? Quali vi piacciono di più?